Former Chief superintendent of Police for the Retford Division of Nottinghamshire from 1942 to 1946. In 1946 he moved to the Nottingham division. Served with the Sherwood Foresters in France during the First World War where he was taken prisoner. 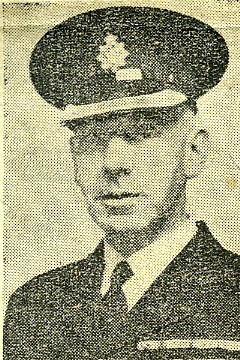 The Retford Times (21 November 1952) noted that Mr Bray began his career with the Notts Constabulary at Mansfield in 1920 and remained there until 1933 when he was transferred to Kirkby-in-Ashfield. In October the same year he was promoted to sergeant and in the following year returned to Mansfield. In 1935 he was further promoted to Inspector and it was in 1942 became Superintendednt at Retford. This page was added by Website Administrator on 11/08/2011.